It was one fine day in December when my friend and I decided to head out to the bus station, supposedly geared up for a road trip to Bulacan. Unfortunately, when we got to the station, there was a long queue of people who were headed to our destination, too. We figured people wanted to get a head start so they can be in their respective provinces for New Year’s Eve. It was understandable, considering the 30th was a holiday, the first day of a long weekend. Incidentally, it was a holiday because Filipinos commemorate the execution of our national hero, Dr. Jose Rizal, on December 30. Right there and then, my friend and I decided to forego our plans, and instead, spend the day exploring Manila. 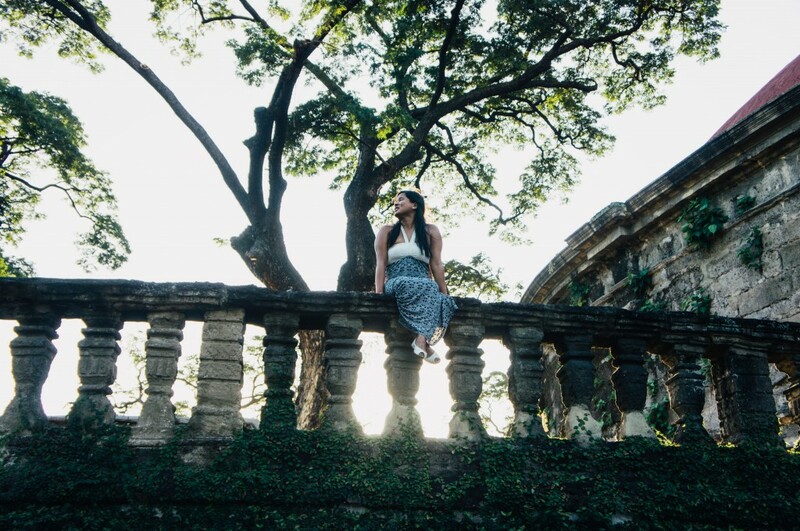 Yes, we may be city dwellers, but with our hectic schedules, exploring the nooks and crannies of our beloved Manila was a luxury we can’t afford to enjoy all the time. Perhaps there was something in the air my friend and I breathed that day, because we instantaneously decided to check out a museum and go to places reeking with ancient history. Actually, I believe there was, indeed, something in the air because on a whim, my friend and I decided to dress up for our exploration! 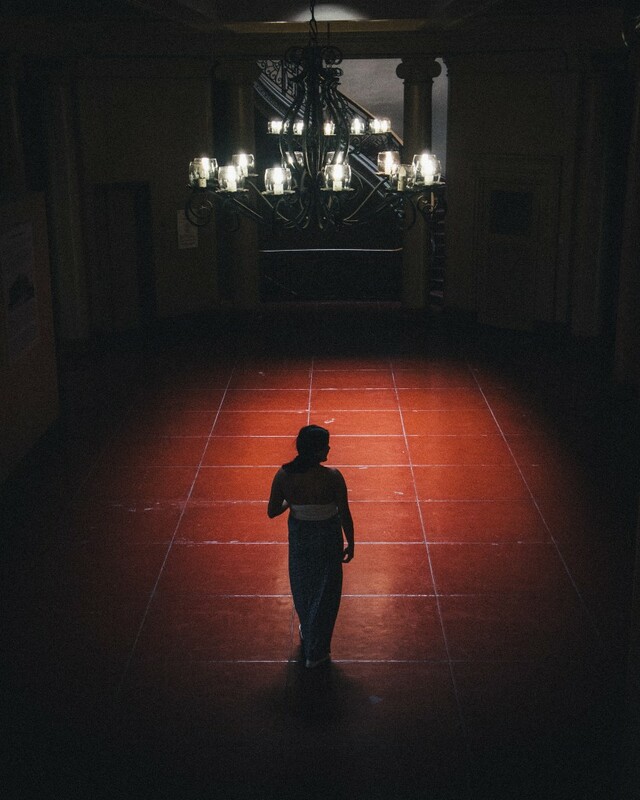 The National Museum of the Philippines is a government agency museum dedicated to the preservation, exhibit, and acquisition of cultural and historical artifacts, arts, and specimens of the Philippines. The NM building is actually connected to three more buildings – the Museum of the Filipino People, the National Art Gallery, and the National Planetarium. The National Museum houses an extensive range of fine art, ethnography, and archeology collections. Rizal Park is, by far, Manila’s most famous park. It’s an icon, a fitting tribute to our national hero, and located in the heart of Manila’s thriving industrial, financial, institutional, and commercial centers. 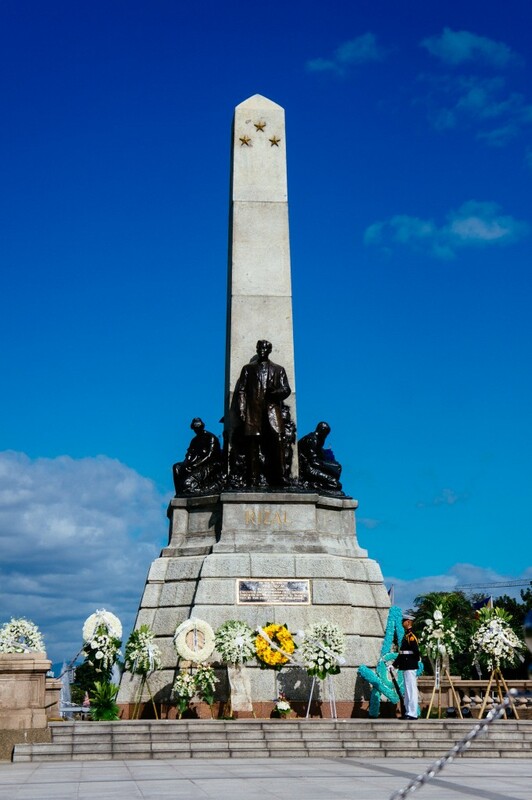 Its focal point is the monument erected in honor of Dr. Jose Rizal, who was shot to death by firing squad at that very spot on December 30, 1896. The park is overlooking the picturesque Manila Bay. This small, circular park used to be a municipal cemetery for Spanish aristocrats who lived in the walled city of Intramuros. Nevertheless, there are rumors that Dr. Jose Rizal was secretly buried there after his execution until his family dug up his remains in 1898. Apparently, it was only 16 years later when his body was enshrined in Rizal Park. 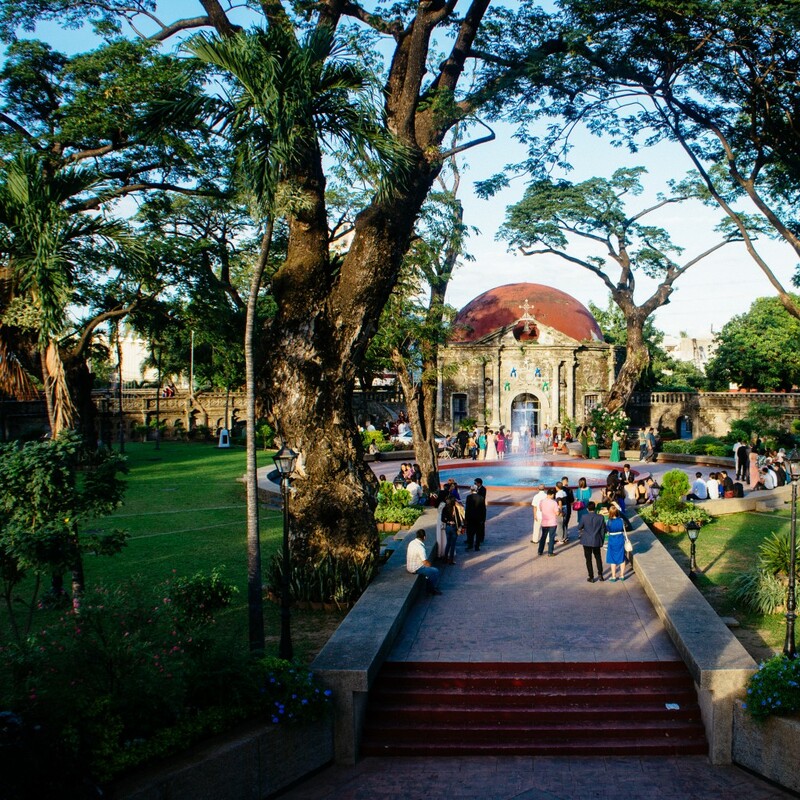 Today, Paco Park is a favorite venue for weddings (yes, apparently, getting married amidst dead bodies is appealing), photo shoots, and concerts. Intramuros is the famed multifaceted walled city that the Spaniards built in the 16th century when they occupied the Philippines. It is considered the oldest district of the city of Manila. It got its name from the Latin words intra and muros, which literally mean “within the walls”. 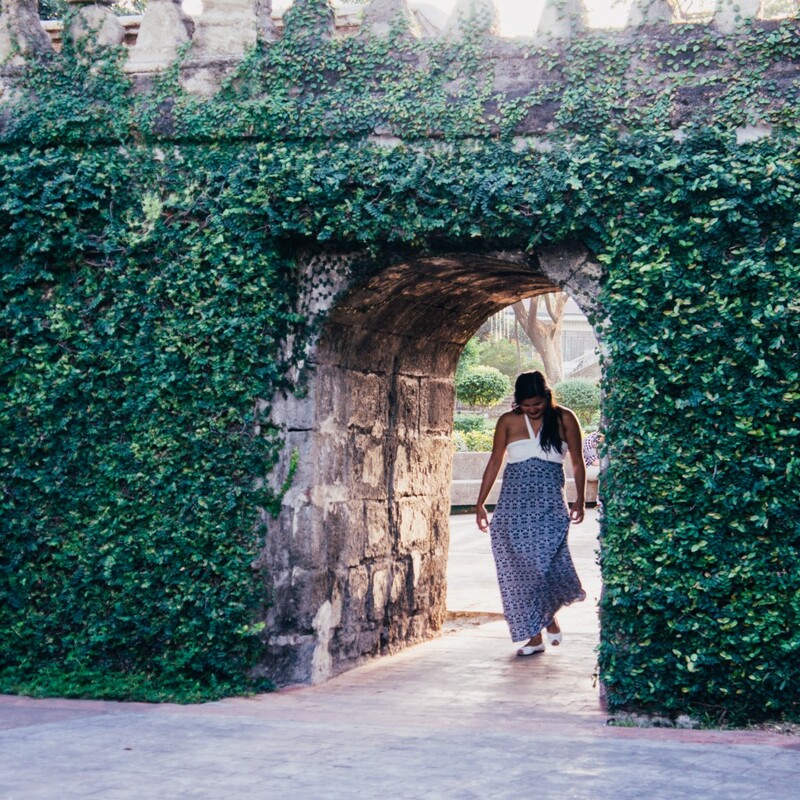 Intramuros is surrounded by high walls and moats, and it is usually referred to as “Old Manila”, since it was considered the Manila we know today during the Spanish colonial period. One of the places my friend and I visited that day served as a venue for a wedding, and it was funny, but with the way we were dressed, it was as if we were part of the wedding. 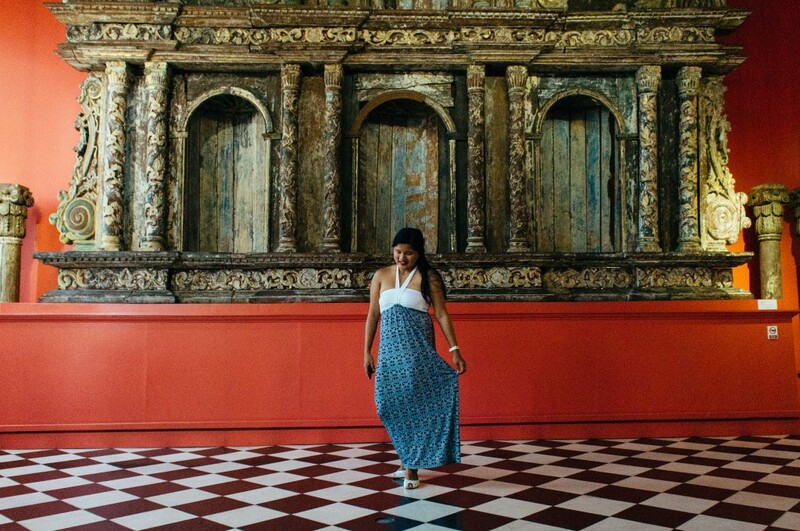 It was a great day to explore the wonders of Manila and be re-educated with the rich history of the Philippines. What’s more, since it was a holiday, the four places we visited weren’t crowded. My friend and I were practically “strolling” in the parks. Oh, and maybe because it was a holiday, entrance fees to some of the attractions were waived! So, yeah, we did not only enjoy but we also save a few bucks, and you know what? I would gladly do it again. your pics in these museums makes them much perfect! Definitely, if not for the busy bus lines we wouldn’t have opted for this, but I am glad we did. Such gorgeous photos! 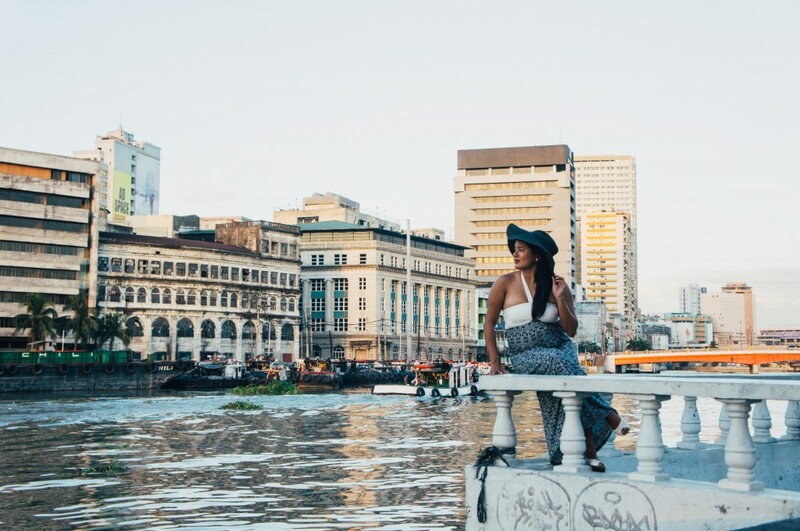 I’d love to visit Manila one day…what a beautiful city and trip! The photos are simply amazing and your post is so inspiring! There are so many beautiful places in Philippines! 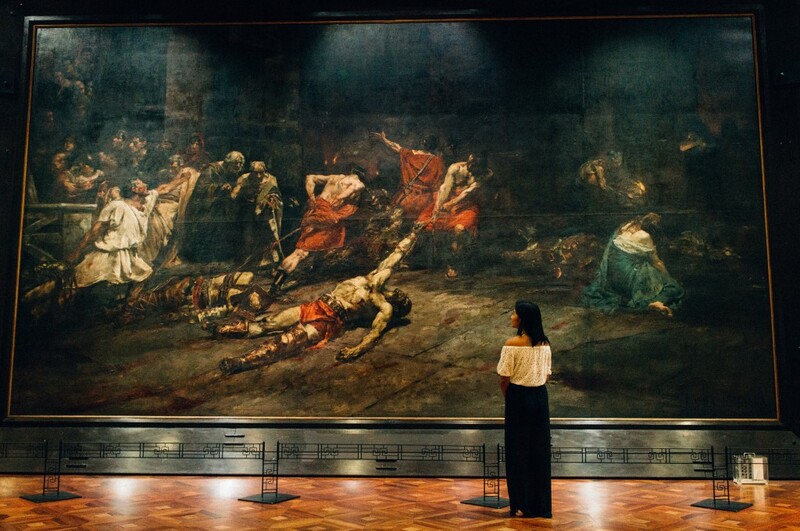 I would like to visit the National Museum of the Philippines and Paco Park one day. Great sights! Impressive museum! The Philippines is country on my list of things to see. Only heard good things about it, and your suggestions are quite good. Cheers! It’s always refreshing to take the time to explore your own city — reminds you of why it’s special! I do the same, often, in San Diego. I am very blessed to live in a beautiful area! San Diego is a place that I would love to visit. Sometimes it’s really great to be able to explore your own backyard. Paco Park looks like a great place to relax for awhile. Paco Park looks amazing. I love the vines growing up the walls. It’s a popular wedding church too. Small area yet very pretty. GREAT PICTURES! I’ve been to all those places but it’s a part of Manila I don’t mind visiting time and time again. I especially love the recently renovated National Art Gallery. It has a wide variety of art on display. A mixture of classical and contemporary art. I love the architecture of Old Manila. It’s something I highly recommend for locals and travellers alike! Maybe they should also do a quick stop in nearby Binondo or Chinatown (oldest Chinatown in the WORLD). Love reading your posts, Karla! Thank you Trisha, I have yet to visit Binondo and do the food tour. There’s also the art/ vintage market in Escolta on weekends. Looking forward to experiencing those too. Beautiful photos! I’ve never been to Manila but keep hearing from so many people that I need to get there. One day! Sometimes when you make a spontaneous decision, it can result in something amazing. Look at those beautiful photos. Intramuros looks like an interesting place to visit. I love cities and towns close to the sea, river and lakes. All in all that was a great day in Manila I would think. It’s amazing what you can find when you look at home with a traveler’s eye. Looks like a fabulous day! I think a lot of times we don’t appreciate what we have in our own home towns, so it’s great to take time and explore them when we have the opportunity. I am considering visiting the Philippines later in the year, so this information is very helpful… thanks! We spent 3 months in Manila and we need to visit again to visit Rizal Park, which we didn’t get a chance to explore. The museums are all great to visit as well, need to go back. What a beautiful place! Your pictures are beautiful. Now isn’t this a refreshing post! I love that you were able to tour around the old parts of Manila and just enjoyed everything. The Museum is lovely. And so are all the other places, especially Rizal Park and Intramuros. So much history. Gorgeous dress! Manila is such a beautiful country and it really looks like you took full advantage. Lovely! Stunning photos of your day! Sometimes a little change in plans is all you need to open your eyes to the beauty and adventure around you. You did and saw a lot in one day…thanks for sharing! That sounds like a wonderful adventure. I enjoyed looking at your photos. You have some very attractive parks and open spaces which is often a rarity in a city. I love discovering more about the places I live, rather then heading off to explore other areas soemtimes it is nice to be a tourist in your own town or city. I always dream having my wedding at Paco Park! I will consider this if our beach wedding plan did not work out. Great shots! My SIL are the worlds worst at changing out plans when we go taking photos. We’d of also spent the day exploring Manila. It looks and sounds like you had a great time. Wow what a wonderful time. Beautiful photos it sounds like your last minute decision was a great one. What incredible sights to see! Paco Park looks gorgeous. I could easily spend a week there marveling at everything. That fountain! I’m also a huge fan of museums, so I would really love to see the National Museum. 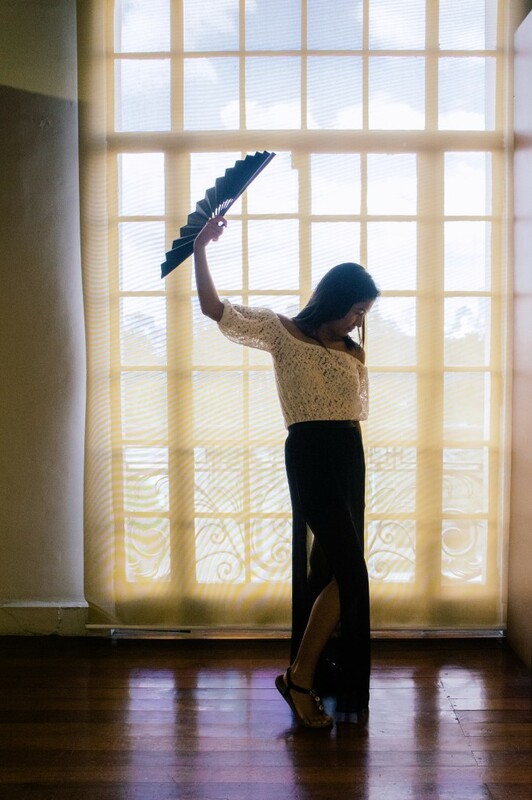 I loved visiting Manila! One of my favorite places was Fort Santiago and Intramuros! It’s an enigma, full of wonderful spots and cultures! You had a great day. Excellent writing skill. Enjoyed the awesome photographs. Ah I really want to explore Manila soon and all these places are included on my list! I really love all your shots here!